Valentine’s day is just around the corner now, so I thought I’d put together a couple of posts to offer some inspiration to those looking for gift ideas. I’m starting off with some fantastic lower priced items. Everything in this post is what I’d call reasonably priced or budget friendly – and I’ll have my luxury gifts post coming up very shortly too. For the beauty lovers, you can never fail with Kiko products – I think I’m actually yet to come across something of theirs that I don’t like. As well as being very affordable, they often have offers on too so you can pick up some amazing bargains. Check out their sale for up to 50% off loads of gorgeous makeup products and sets, including the Temptress Lip Set shown above which is now only £5.40! Flowers are often a must have for the big day, but what about rose scented beauty products as an alternative? They’re guaranteed to last longer than the lifespan of a bunch of flowers! The Melvita Nectar de Roses Body Collection is a gorgeous range of bath and body products including wild rose extract to aid hydration. I have the Nectar de Roses Rose Petal Shower Gel (£13.00), which gives a beautiful light floral fragrance, the Nectar de Roses Hydrating Body Veil (£15.00), which is enriched with rose floral water to provide intense hydration for up to 24 hours. The Nectar de Roses Balm (£10.00) is a fantastic little multi-purpose balm that’s perfect for rescuing dry and damaged skin, and lastly the Wild Roses EDT (£36.00) which is a beautifully bright and fresh rose scent, combining rosa canina, rose gallica and rose mosqueta with a woody base. Or for a different take on rose fragrances, Bronnley’s Zealous Flower EDT (£35.00) is definitely worth a look. This is the newest addition to their Electric Elements range, and completely different from Melvita’s Wild Roses. Bronnley’s Zealous Flower fragrance gives rose a more unconventional edge. It includes sparkling notes of pear and mandarin combined with pink pepper, precious amber and earthy vetiver. 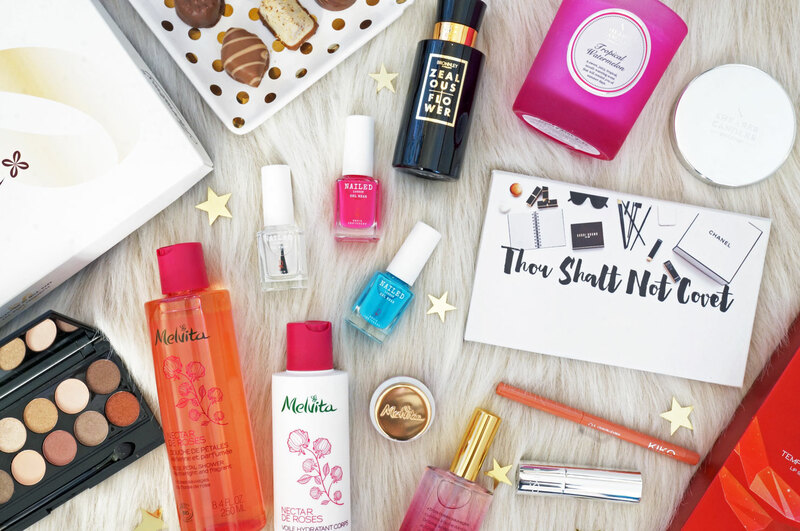 For the nail polish lovers, what about a selection of very affordable Nailed London Nail Polishes? They’re only £6.99 each and are available in a massive range of 28 catwalk inspired shades, as well as four glitter polishes, and a top and base coat. They also boast a patented 3-step system, developed to match the look, feel, wear and gloss of a professional gel polish, whilst promising 2-3 days longer wear than any other gelled product on the market. A personalised gift is always going to be a winner, and I highly recommend the Crowd colour Personalised Palette. This is an empty makeup palette, magnetised and ready for you to customise it with whichever pans you choose. The best part is that you can have whatever you want printed on top, I went for my blog header on mine! On the subject of palettes, the Sleek I-Divine Eyeshadow Palettes are definitely worth a mention. At only £7.99 for a palette of 12 eyeshadows, these palettes are a complete bargain, as well as being amazingly well pigmented. I’ve collected quite a few of these now but I most often find myself reaching for the Au Naturel shades. The one I’ve included in the image above is the brand new All Night Long palette, including a beautiful range of warm neutrals. And lastly, for the candle fans there’s the Shearer Candles Tropical Watermelon Jar Candle (£8.00) – this gorgeous candle from Shearer Candles checks all the boxes for a Valentine’s gift, it’s pink, it’s pretty and it smells amazing! The Watermelon fragrance is fantastically sweet and mouth-wateringly juicy. It’s basically summer in a candle!